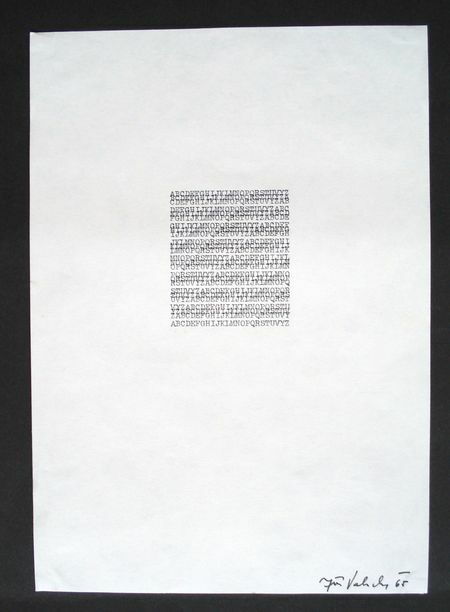 helmut heissenbüttel, "texte ohne komma", H. Heissenbütel, 1960, 32 pages. "ideogramme idéogrammes ideograms ideogramas", diter rot, oswald wiener, claus bremer, ferreira gullar, josé lino grünwald, rolando azeredo, eugen gomringer, kitasono katué, wladimir dias pinto, theon spanudis, haraldo de campos, augusto de campos, décio pignatari, friedrich achleitner, gerhard rühm, calo belloli, emmett williams, 1960, 32 pages. 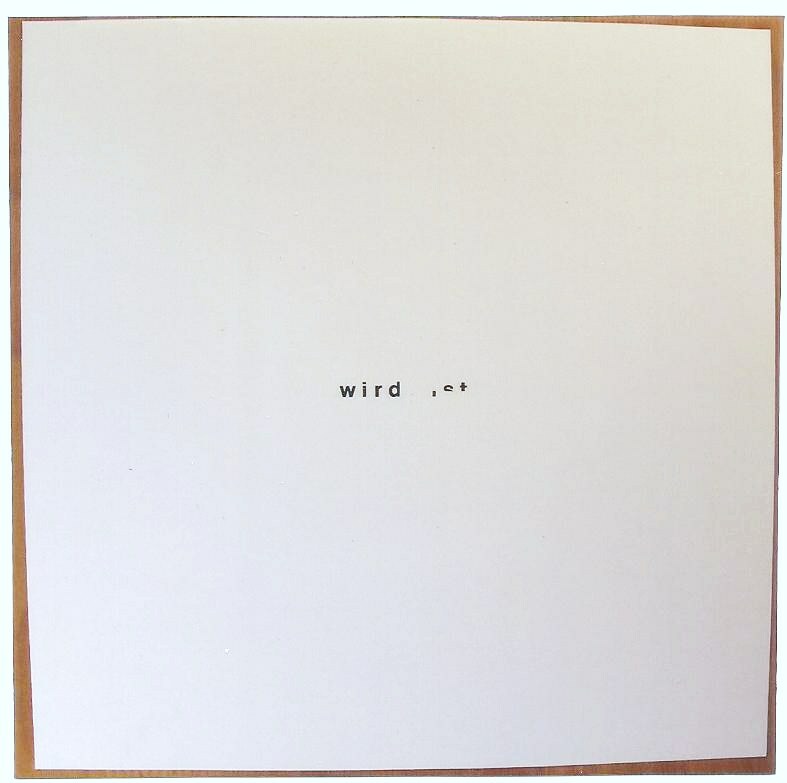 gerhard rühm, "konstellationen", 1960, 32 pages. 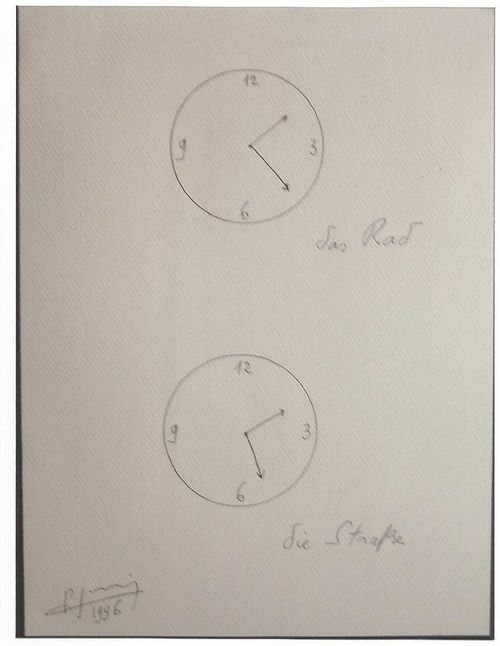 claus bremer, "tabellen und variationen", 1960, 32 pages. 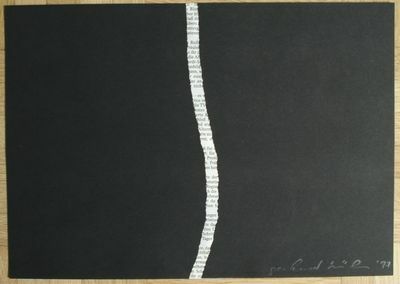 carl belloli, "texte poém poém texte", 1961, 32 pages. 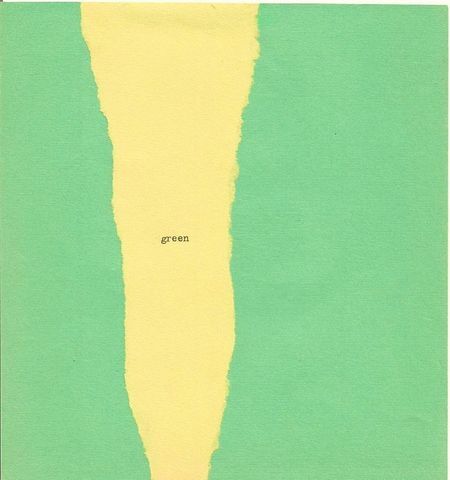 ferreira gullar, "livro poema", 1965, 24 trimmed pages. 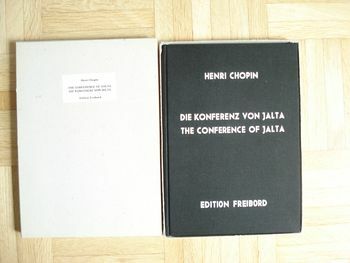 ernst jandel, "klare gerührt", 1964, 20 pages. 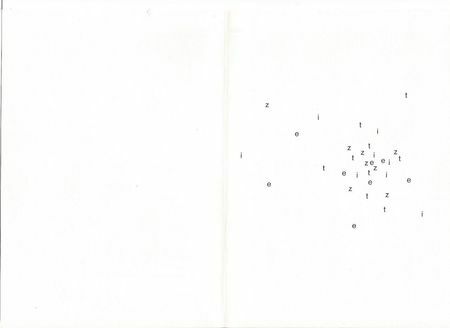 edwin morgan,"starryveldt", 1965, 24 pages. 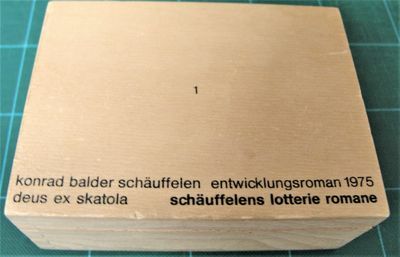 friedrich achleitner, "schwer schwarz", 1960, 28 pages. 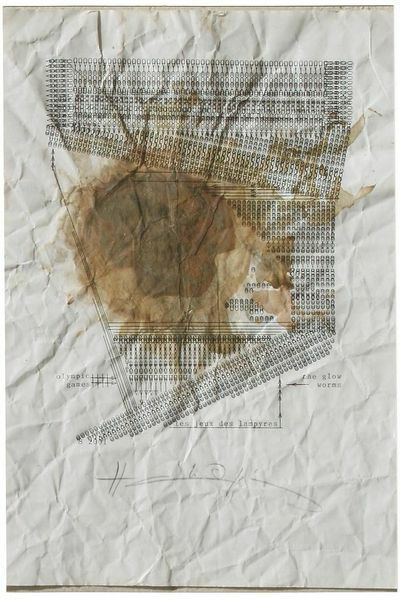 Typwriter poem and collage, signed and dated. "EUROPA", Typewriter poem and collage, signed and dated 2001. 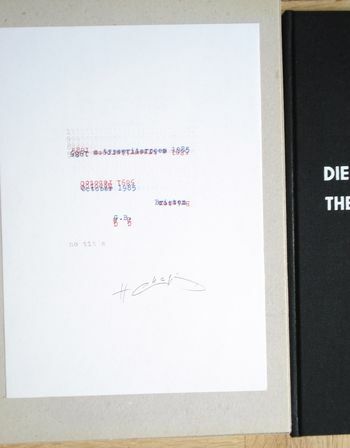 Book withe a original typewriterpoem, signed. 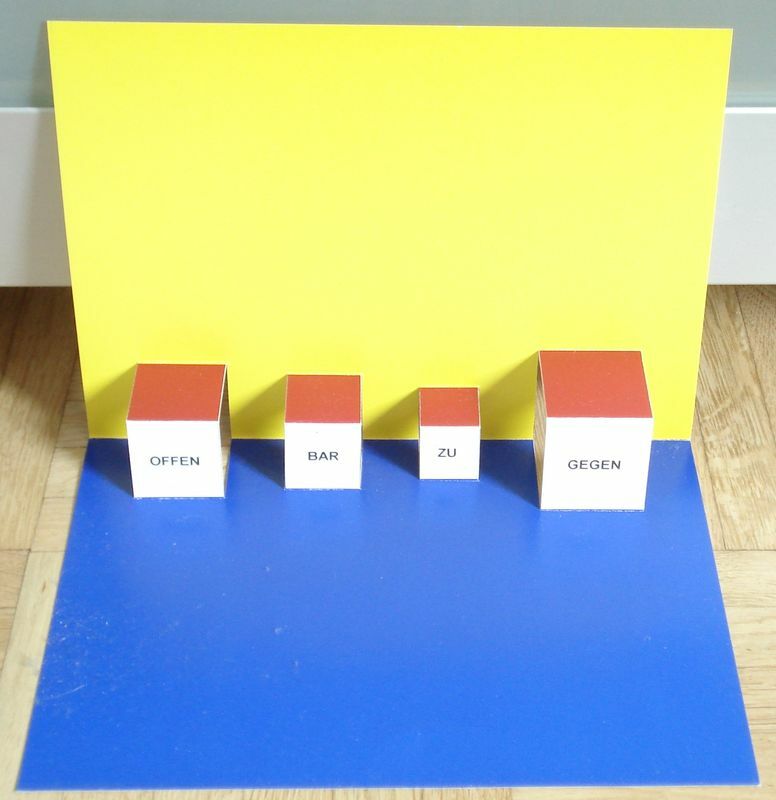 Letraset on cardbord, signed and dated 1966.
letrasett lettes on cardboard, signed. 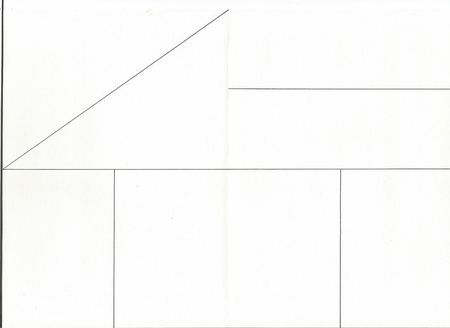 Ballpoint pen on paper, titled, signet and dated, 1996. 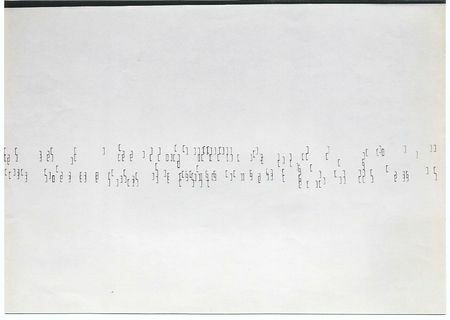 Typwritter text on paper, signed and dated 1963. 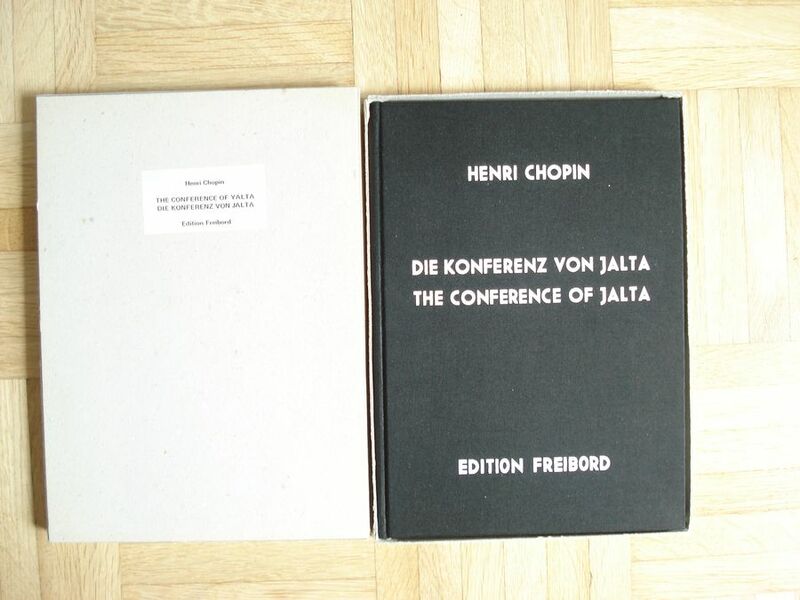 Book with a LP, DuMont 1960, 55 pages and 6 foldet paper in a slipcase. 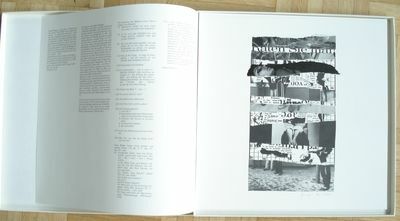 A glass plate, signed, edition of 50 copies. 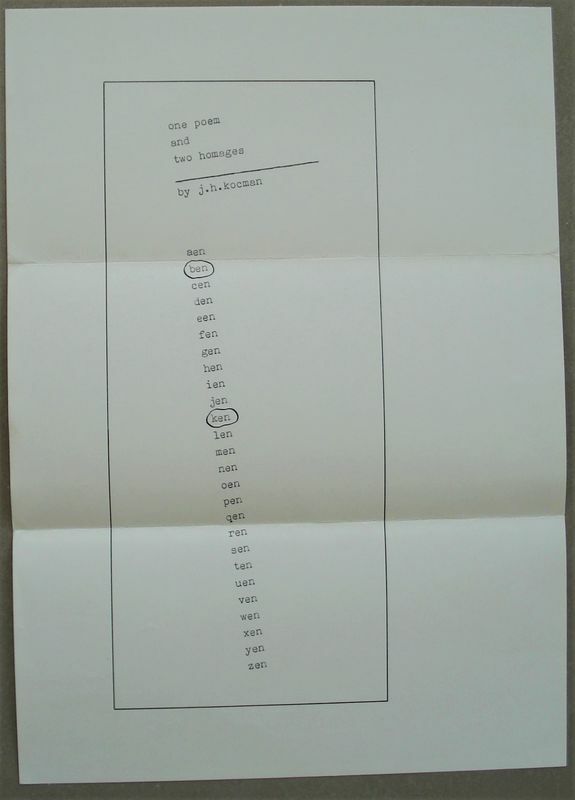 J.H.Kocman, "one poem and two hommages"
Ink and tipewriter text, signet and dated, 1972, 30 x 21 cm. 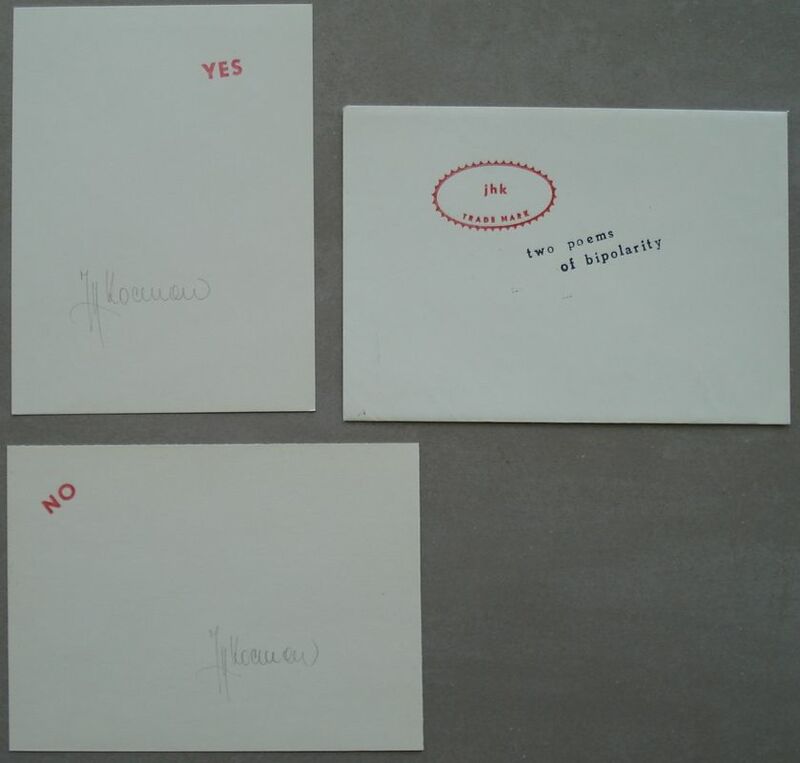 J.H.Kocman, "two poems of bipolarity"
Stamped Kartboards, signed, each 11 x 15 cm. 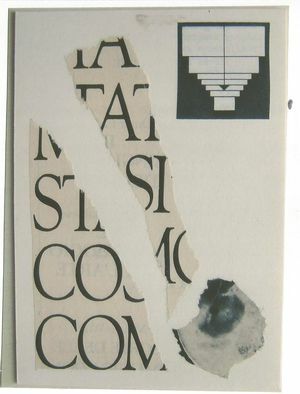 "COM", Collage on cardboard, signed, titled and dated 22.12.87. 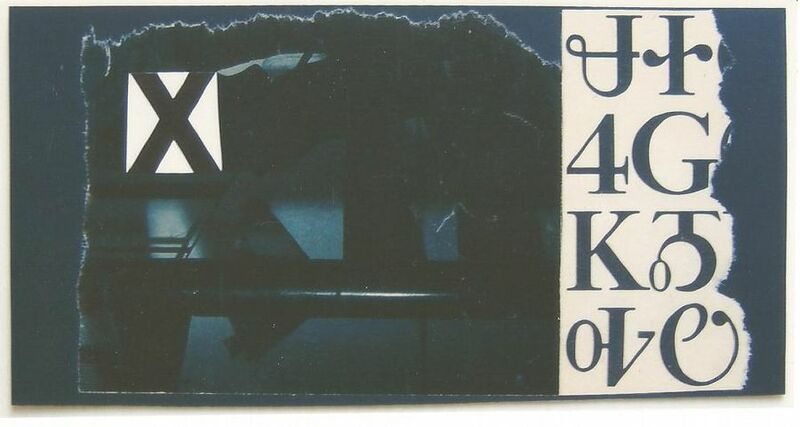 "Kreuzung", collage on cardboard, signed, titled and dated 7.7.97. 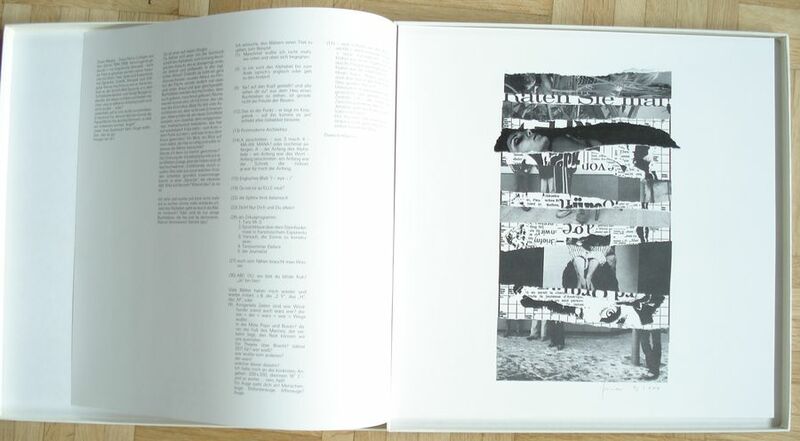 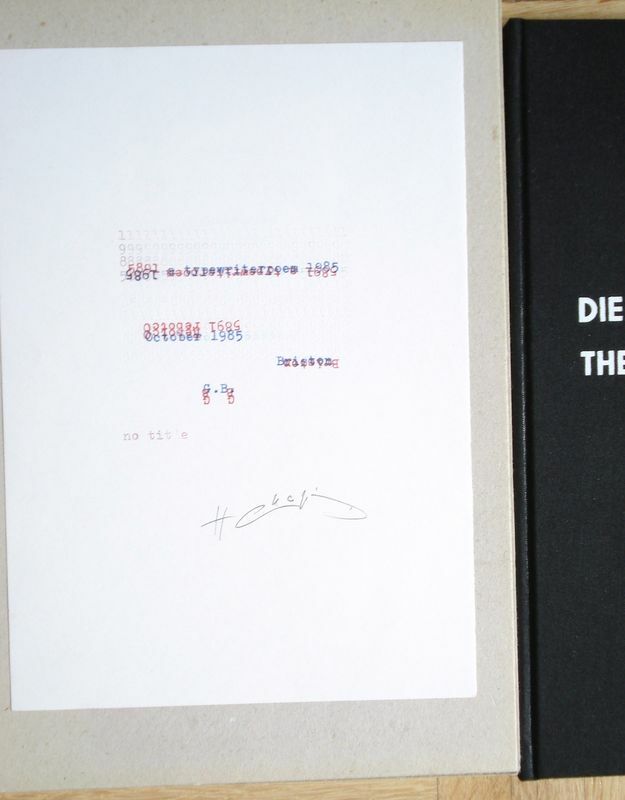 33 visual texts, each signed and numbered, Hochschule für Gestaltung Offenbach. 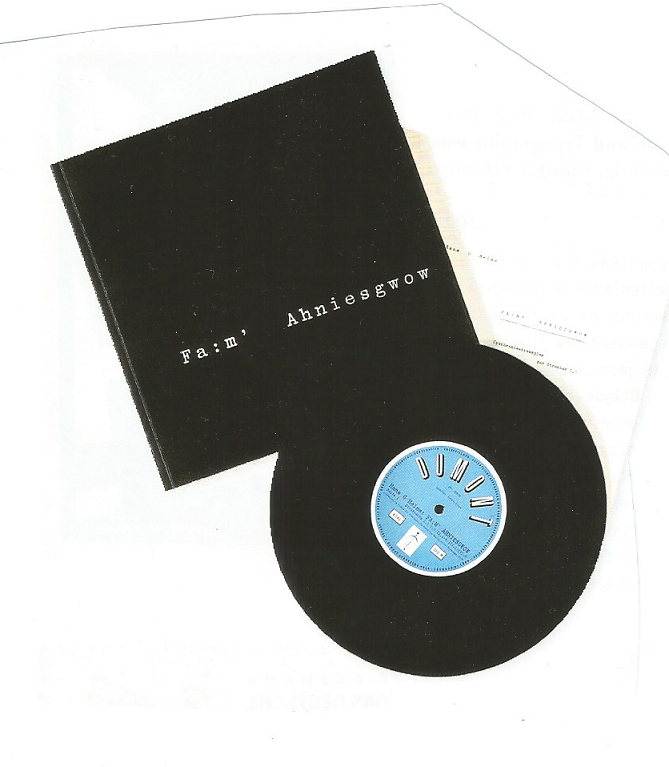 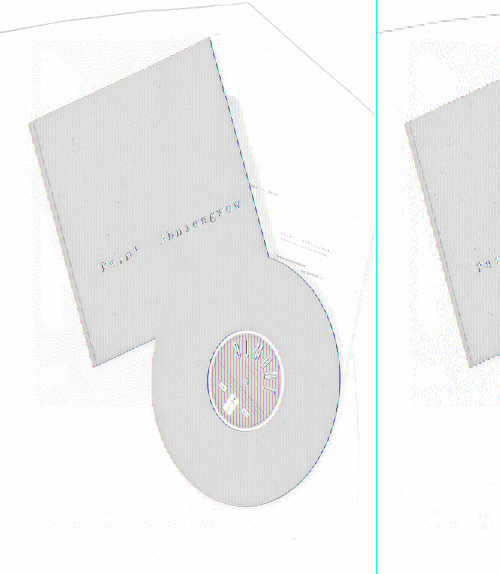 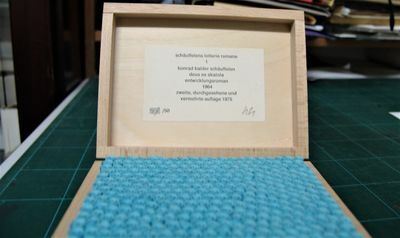 33 pinds in a cardboard box, 3edition of 100 copies, 92/100. Typogramme with pencil drawing, monogramed and dated 1962. 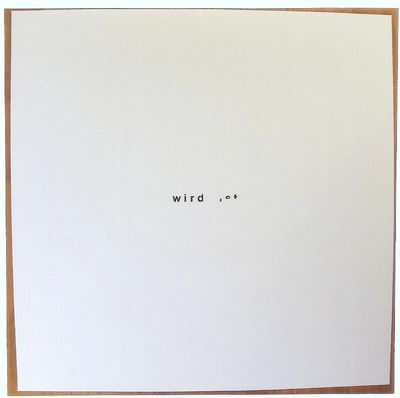 "Ich Du", Collage, signed and dated 1964. 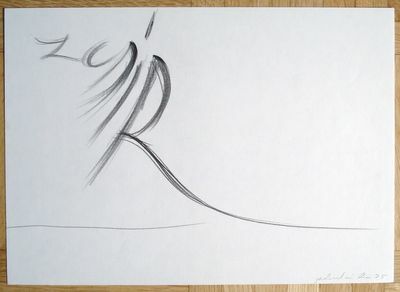 Pencil drawing, signed and dated 1975. Collage signed and dated, edition of 100 differed copies. 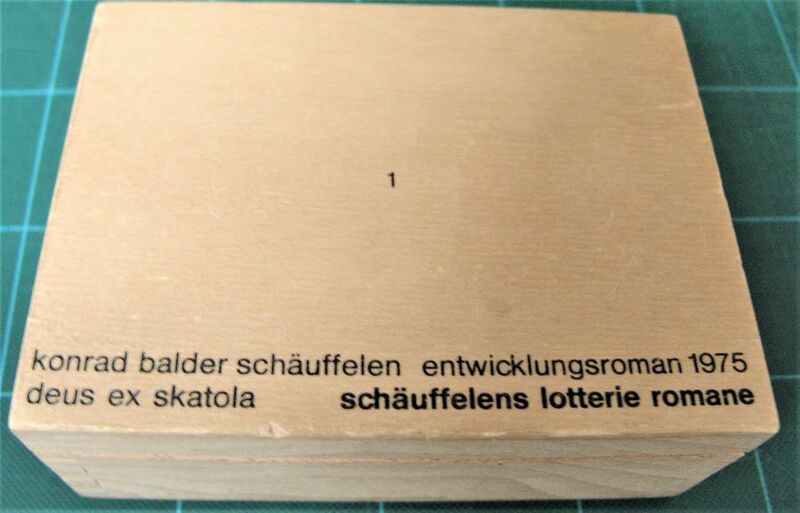 Konrad Balder Schäuffelen, "schäuffelens lotterie roman"
wooden bos, signed and numered, 49/50, 1975, 15 x 11 x 5,6 cm. "Der Abendhimmel...",signed and dated 1992. 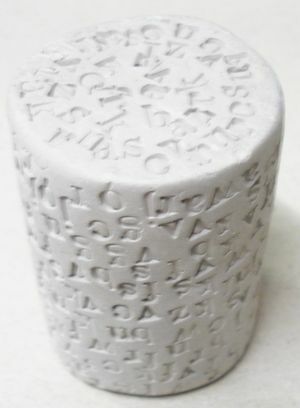 Ton with latters, monogramed, dated 1970, diameters 4, hight 5,5 cm. 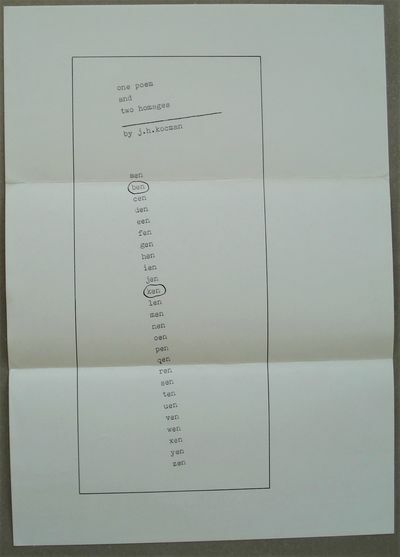 Typwriter text on paper, signed and dated 1965. 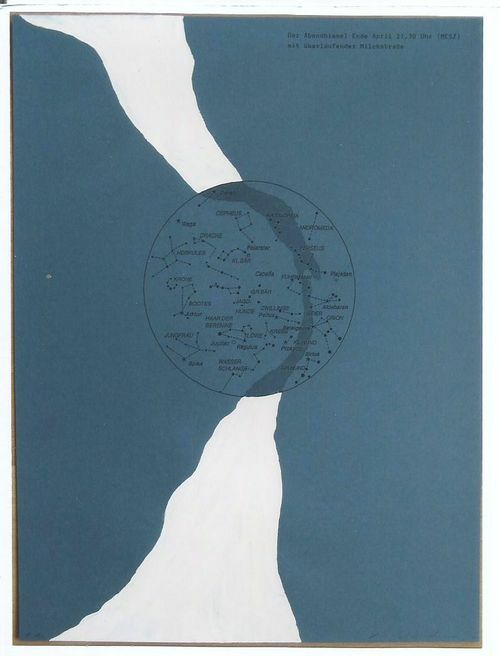 "colour poem", collage, titled, signed and dated 1967. 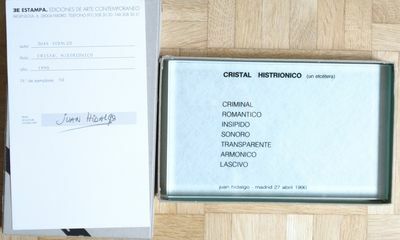 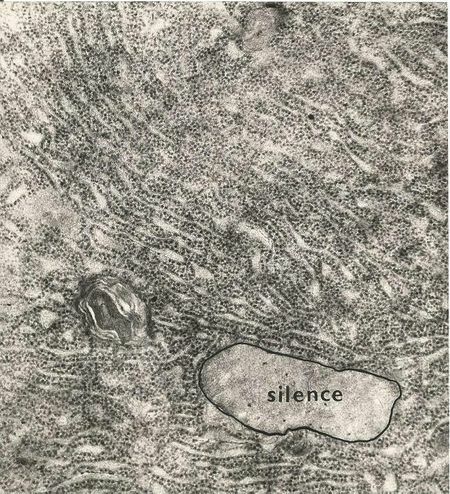 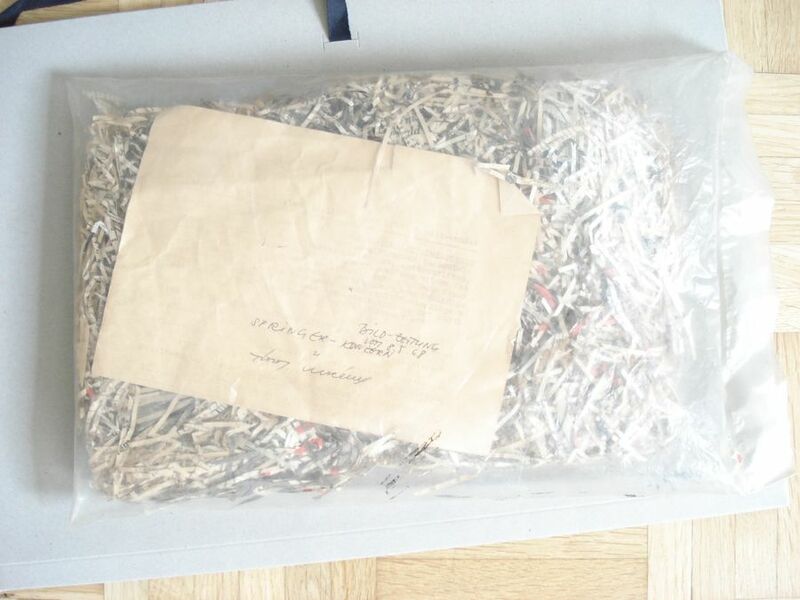 "vizuálni básen", "ertes biologisches Gedicht"
Photo and Letterset letters, titled, signed and dated, 1969. 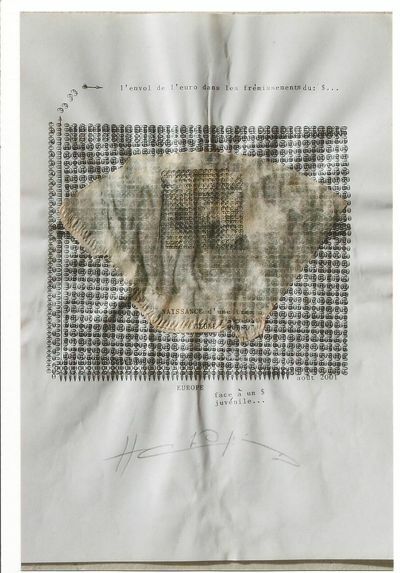 Sceen printing, numbered (20/20), signed and dated 1965.